Thinking about a real wood deck? There's something special about the allure of real wood. 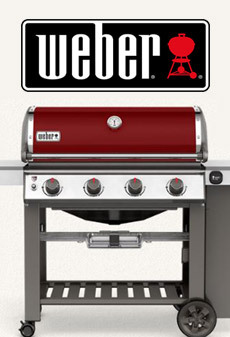 You'll love our superior quality and selection. We have a tremendous stock of premium knotty cedar lumber and decking. We only stock top quality cedar with exacting standards that provide you with consistent and beautiful wood for your project. Standards for cedar found at many of our competitors and big box stores allow for more defects and irregularities that will effect the quality of your installation. At Hackmann, quality matters. Why build with Real Cedar? Here are the Real Green Facts about Real Cedar. What is KDAT Lumber? 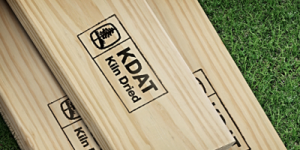 KDAT stands for Kiln Dried After Treatment and is a kiln drying process that dramatically reduces warping, shrinking and checking. KDAT Lumber is great for decking, railing, around foundations, pole barns, docks & boardwalks, trailer decking, truck beds and shed constuction. The KDAT process also reduces the weight of the lumber for ease of handling while allowing for instant staining or treatment, with no drying time that comes with typical treated lumber. Professionals, ask about how using KDAT will reduce your call backs and help satisfy customers. 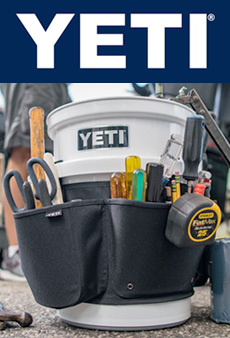 So, it's time to tackle that deck project? There's no better way to extend the living space of your home than by building a wood deck. What's more, few other home improvement projects provide as much ROI as a wood deck! YellaWood® brand products provide the best available protection against rot, fungal decay and termite attack, so order today in either 2" or 5/4" thickness. That YellaWood® brand name means quality preservatives and so much more. It's how you turn your backyard into your family's new favorite room. Naturally rot and insect resistant hardwood decking known for it interesting visual appeal with vivid dark streaks with an average material lifespan over 30 years. It's simply stunning! Keep your real wood deck looking gorgeous with TWP. We stock the 100 Series of TWP wood preservatives (stains) in 1 gallon and 5 gallon sizes. Colors include: Clear, Cedartone Natural, Redwood, Pecan, and Dark Oak. TWP highlights natural wood grain patterns while deeply penetrating wood to protect against wood degradation/rot, water, sun fading and mildew -- without dull surface buildup. 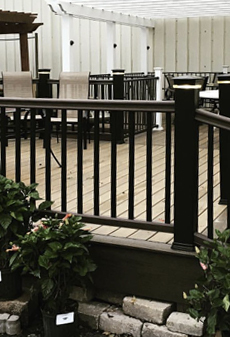 Finish your new deck with a stylish selection from our in-stock deck railing systems and dreamy lighting options.